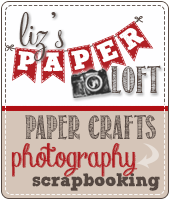 Liz's Paper Loft: Thrifty Thursday ~ Congrats Card and more! This is what I started with. When ever I cut something and the paper isn't quite right for the project I'm working on, I never throw them away. So you can see the heart is already cut from another project. 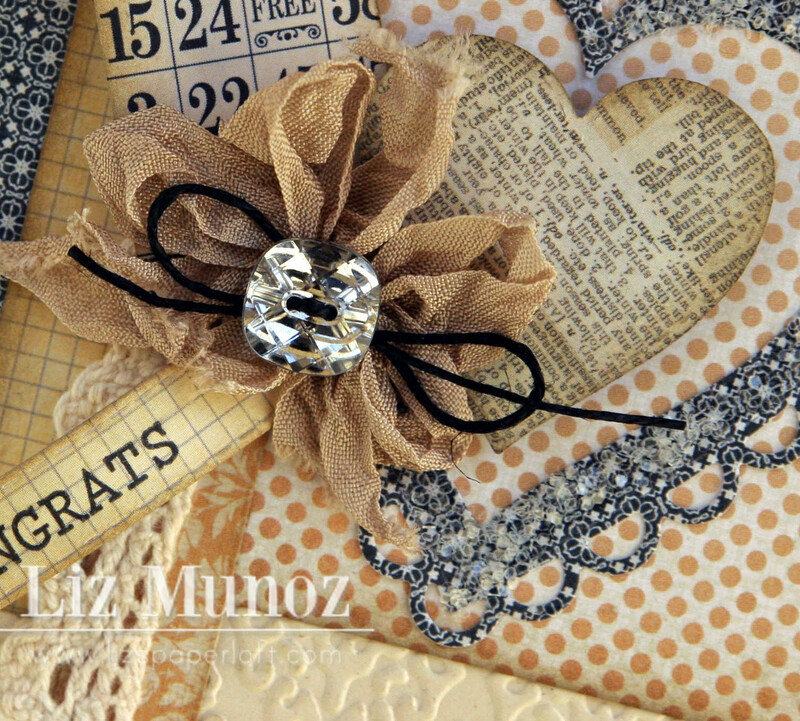 And here is the finished card...I don't think it looks like a card of scraps! Do you? Look how much I have left over still! I think I feel another card coming on! lol! 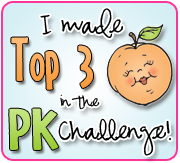 I have one more card to share with you...I finally had time to join the challenge at Peachy Keen! THE CHALLENGE Create a card using Hearts! 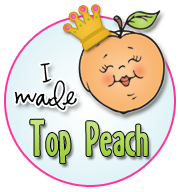 I have recently cut back on the amount of Design Teams I'm on. I have really enjoyed being on all the different teams and getting to know really great people! However I'm super excited to be able to devote myself to My Creative Time and my own Boutique! And with my new found freedom, I plan on playing in different challenges and doing some redecorating at home! 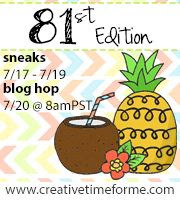 Yes, I will be sharing these projects with you too. So if you have just recently became a follower, I hope you aren't disappointed that I won't only have paper projects. you PK card is so stinkin' cute I love the faces on your hearts made me want to hug your card...oh well what can I say you just create the most awesome things. 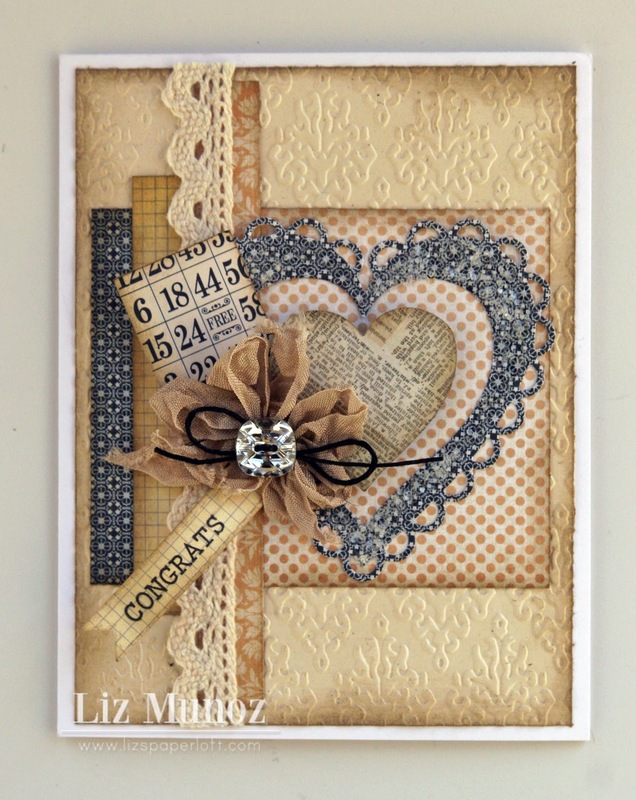 Awesome cards, Liz! The thrifty one is so pretty! I love how the seam binding looks like a flower! And your PK one is too cute with those adorable hearts coming out of the envelope! Love!!! Gorgeous card Liz!!! I LOVE that paper and the whole design is awesome!!!! Another stunner for sure!!! And that PK card.....so so so adorable!!! LOVE the cute faces you used and the awesome card LO!!! 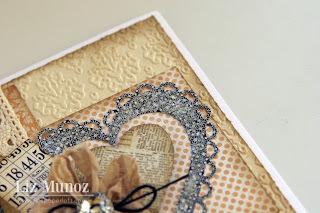 Beautiful cards....and, NO...they sure don't look like left overs! No way, no how! Great job, Liz. These are beautiful! Gorgeous Card Liz and the one for PKS is adorable too! 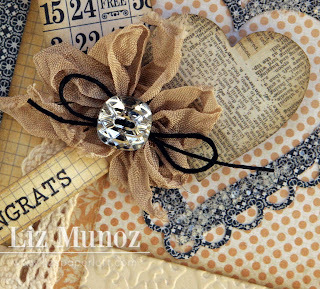 Liz ~ Umm no TOTALLY doesn't look like this card was made of scraps its GORGEOUS! UGH! 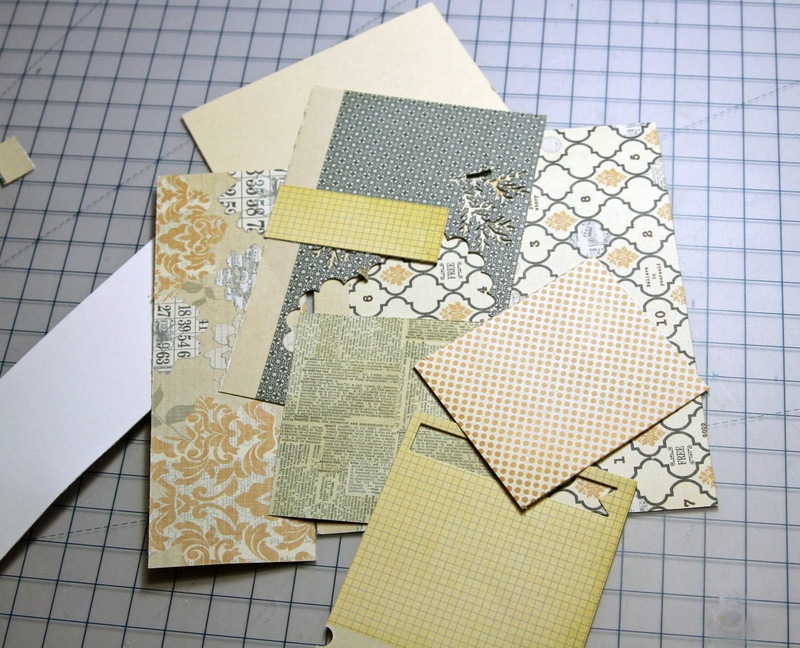 Well I remember this color & pattern paper on one of you other projects and TOTALLY fell in LOVE with then and now this one!! 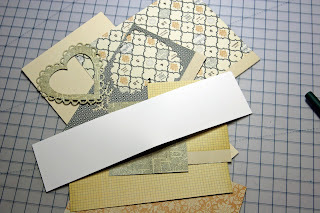 AWESOME job using your scraps! Okay the PKS is ADORABLE!! LOVE the colors and papers! how CUTE to add the faces to the hearts escaping out of the envelope! LOVE it! YEAH for you to have more time!! 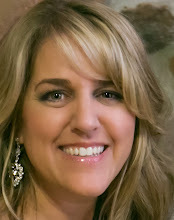 I TOTALLY can't wait to see what else you will be up too! Plus I LVOE your boutique!! Wink ~ wink!! Both cards are wonderful...good luck with the challenge! I don't think your Thrifty Thursday card looks like scraps. The inking is very nice. Great job! I love your scrap card! I frequently do that. Usually love the results. 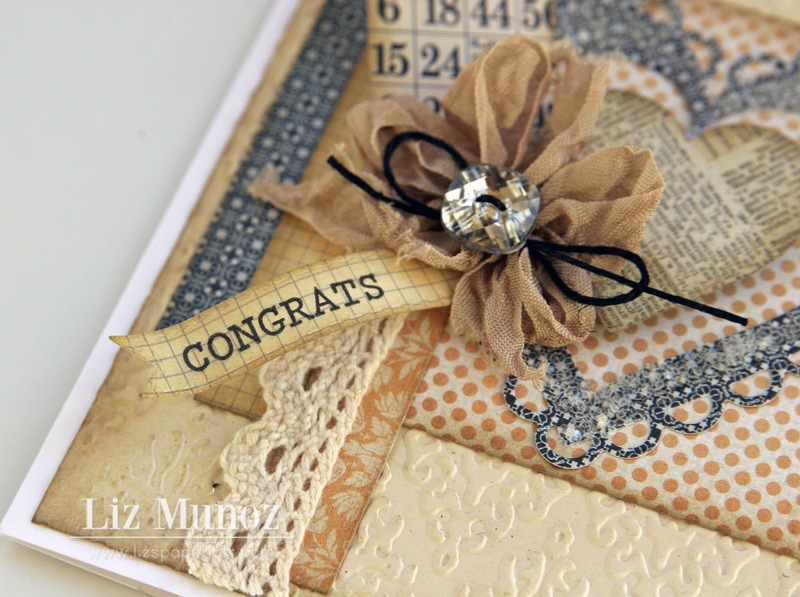 Ooooh Liz, your projects are SO inspiring! I can't believe your first card was with scraps....so pretty! The second card is adorable with all those fun hearts coming out of that envelope! 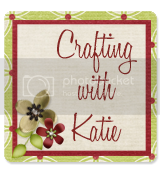 So fun and creative! Both of your cards are so beautiful! I love all of the fun details and papers you added! Both of your cards are GORGEOUS my sweet friend!!!!!! GREAT JOB!